The first thought that comes into people’s minds when visiting Thailand are the beautiful beaches. You definitely shouldn’t miss the beaches, but while booking a flight to Phuket, make sure you also add a flight to Chiang Mai. There are no beaches, but the culture and food of Chiang Mai are not to be missed. 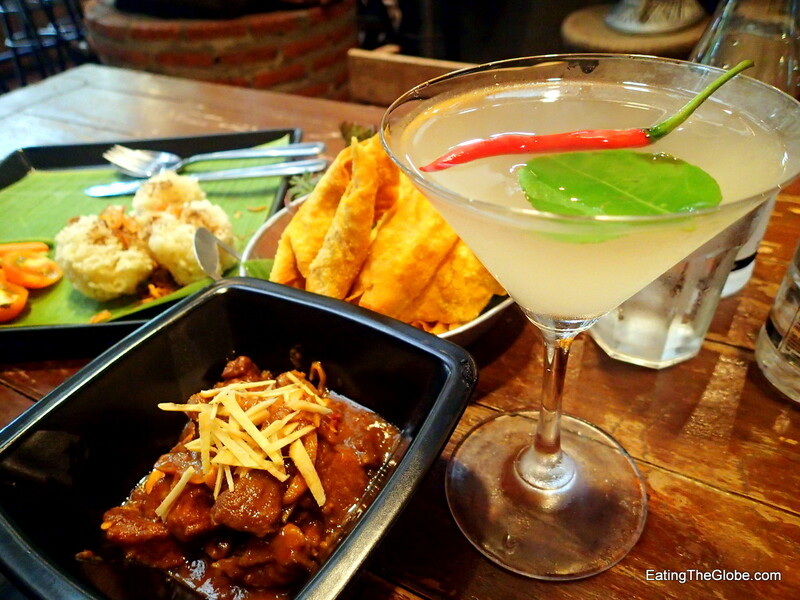 There are so many great Chiang Mai restaurants that coming up with a list of the best ones isn’t easy, but here are what I consider to be the best Chiang Mai restaurants, the ones that when I lived there, I returned to again and again. Bay’s Coffee and Food4Thought share an outdoor space just off Suthep Rd. I lived just around the corner from this place, which suited me just fine. Bay makes the best coffee to be found in Chiang Mai. 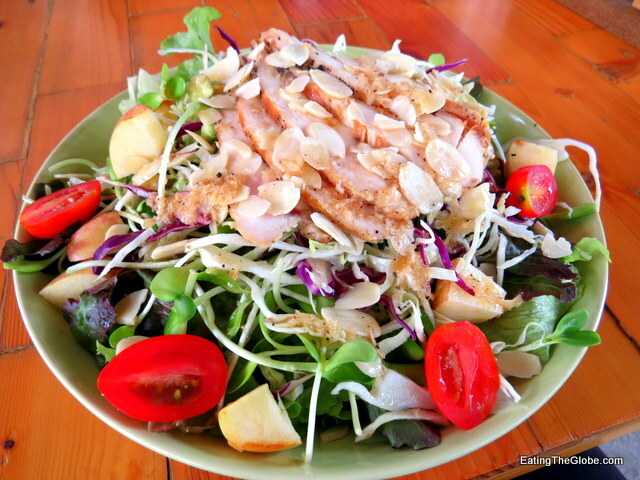 And Food4Thought has the best healthy food that I’ve had in Chiang Mai. They have a creative menu, and the best salads that I’ve had anywhere. Don’t miss an iced coffee from Bay paired with the cinnamon ginger chicken salad. Of all the Chiang Mai restaurants, Cafe DinDee offers the most whimsical atmosphere. Vegetarian dining in a mud hut with beautiful gardens sets the backdrop for the delicious, healthy food. It’s a great place to go if you are in search of a meal in Thailand that doesn’t include MSG. I enjoyed an Indian spiced curry made with kidney and garbanzo beans and garam masala. They also had a lot of interesting salads on the menu, including one that was even made with gotu kola leaves (also called pennywort). 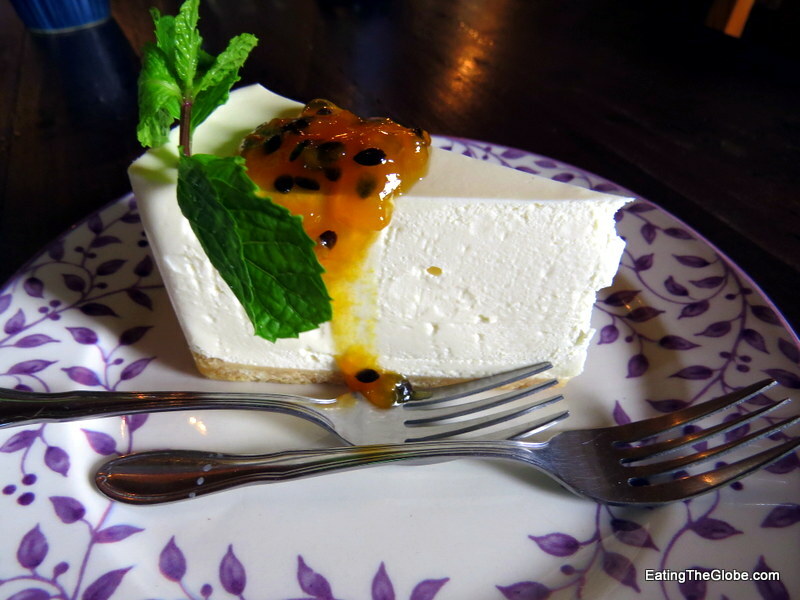 Don’t miss the passion fruit cheesecake for dessert. I adore the vintage decor of Mixology, and the cocktails are the best you will find at any of the Chiang Mai Restaurants or in all of Thailand, for that matter. The bartender went to bartending school in London and brought amazing techniques back to Thailand. Mixology has a 3 for 2 Happy Hour every Friday, Saturday, and Sunday from 7-9 pm, and they have other drink specials on Tuesday-Thursday as well. The Thai food with a creative spin is also enticing. They serve a great Kang Hung Lay, served with crispy herbal rice balls (what a fun twist on the usual scoop of rice). You absolutely must not go to Chiang Mai or to Thailand, for that matter, without eating Khao Soi. This coconut-curry noodle soup appeals to all the taste sensations: the intensely flavored broth is salty with a touch of sweet, the pickles add a touch of bitter and sourness, and the melding of the fish sauce and the broth is the perfect description for the Unami taste that makes you want yet another bowl, and another, and another. 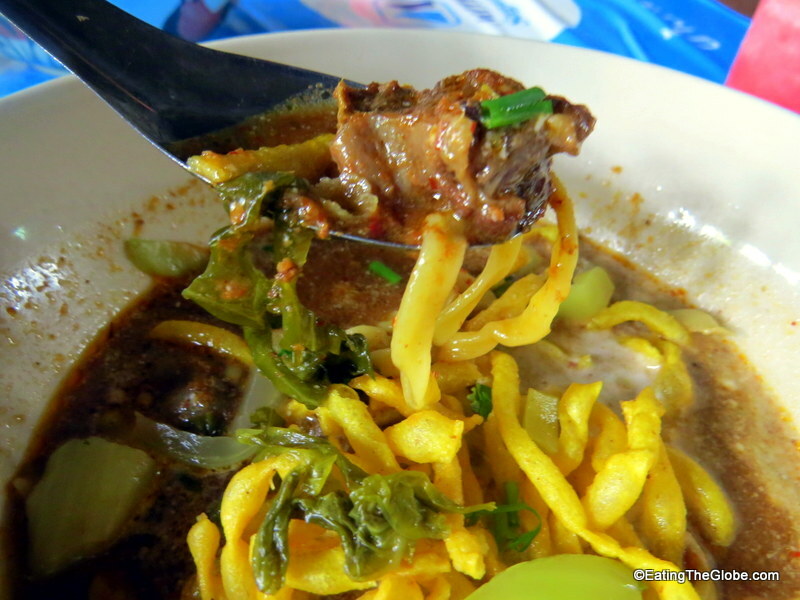 No restaurant or street stall does Khao Soi better than Khao Soi Lam Duan. They make it perfectly. The perfect amount of spiciness, not too sweet (too many places make it too sweet for me), just the slightest touch of coconut milk. This is also Andy Ricker’s favorite (chef of Portland’s Pok Pok and the one who gave Anthony Bourdain a tour of Chiang Mai). Kai Yang Nong Krob or grilled chicken is one of my favorite Thai dishes, and no one does it better than Cherng Doi. Cherng Doi specializes in the holy trinity of Thai cooking: grilled chicken, som tum (green papaya salad), and sticky rice. Cherng Doi cooks their chicken directly on the grill, so you get that nice smoky flavor from the grill and skin that’s perfectly crispy. Served with their sour candy flavor tamarind dipping sauce, it’s a meal made in heaven. 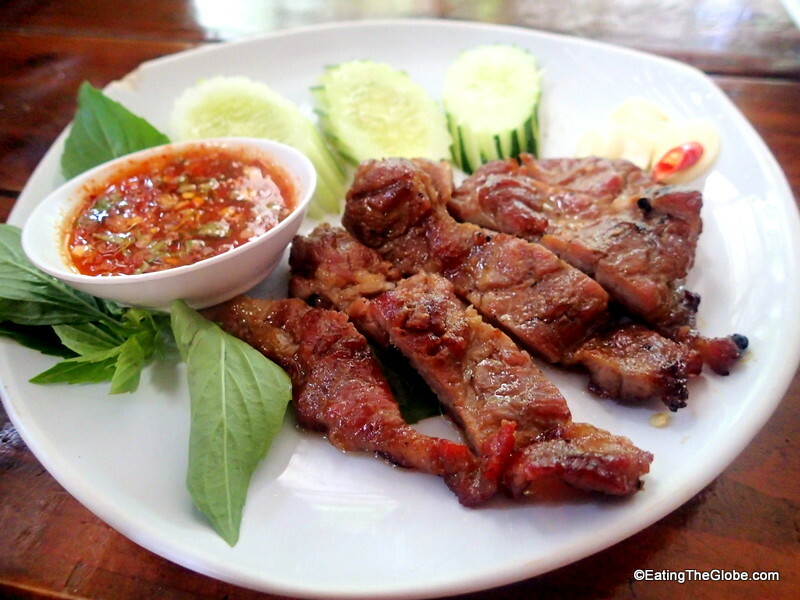 I am also in love with the juicy grilled pork steak and shoulder that’s served with Jaew chili sauce. Cherng Doi offers chrysanthemum tea, cha manao (lemon tea), syrupy sweet Thai iced tea, and Thai iced coffee to drink. Whatever you do, don’t miss the coconut ice cream for dessert. It’s the perfect ending to a dinner like this. 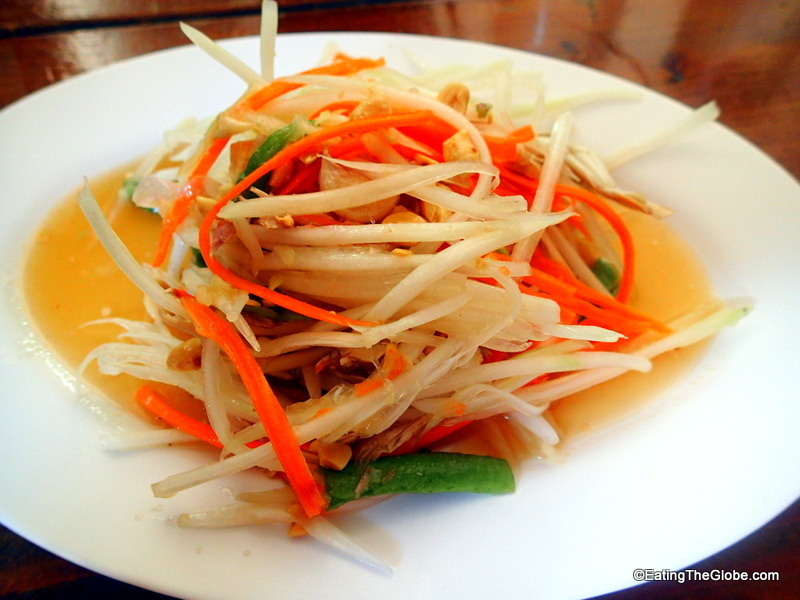 What are your favorite Chiang Mai restaurants in Thailand? Let me know in the comments below! 7 Responses to "Thailand: The Best Chiang Mai Restaurants"
Great suggestions, all of the food looks delicious and the restaurants seem to embody Thai culture and history, especially Khao Soi Lam Duan and Cherng Doi. Thanks for the tips. Out of all of them, the Khao Soi appeals to me most. Anything with noodles does! Yes, that one is one of my favorites!! Yes, they were all so good! !